ABUJA (Reuters) - A militant group in Nigeria's oil-rich southern Niger Delta threatened on Thursday to cripple the economy if President Muhammadu Buhari is re-elected on Saturday. The group, in a statement posted on its website, warned that if Buhari is re-elected there would be "a perpetual recession for Nigeria". 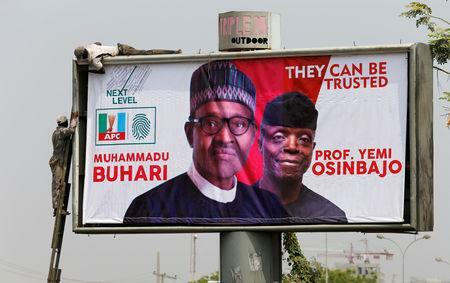 Buhari later made a televised address promising that the government would ensuring a free, fair and peaceful vote, without making any reference to the Avengers' statement. His spokesmen did not immediately respond to requests for comment. 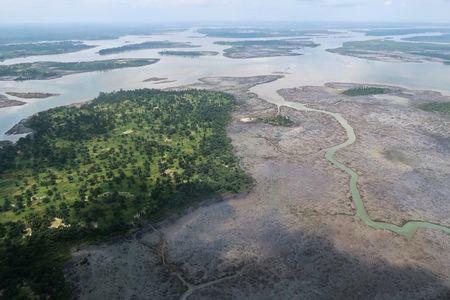 Attacks in the Niger Delta in 2016 cut Nigeria's crude output from a peak of 2.2 million barrels per day (mbpd) to near 1 mbpd - the lowest level seen in Africa's biggest economy in at least 30 years. 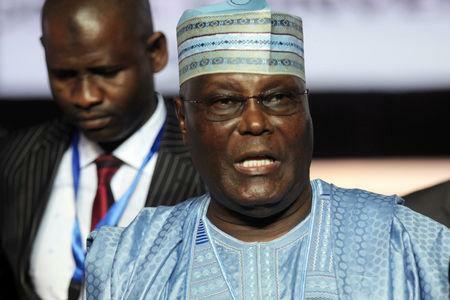 Atiku, a businessman and ex-vice president representing the main opposition People's Democratic Party, has proposed to devolve more power to regions in a policy dubbed "restructuring". "We are adopting Alhaji Atiku Abubakar, as the sole candidate to be voted for by all the people of the Niger Delta as a result of his political ideology which is in tandem with our agitation for equitable and fair principles of federalism," the group said. The Avengers said that, if elected, Atiku should start a "restructuring of Nigeria" within six months to forestall further attacks in the Niger Delta. "Atiku has said that restructuring will begin on the day he takes office, so he will keep his word," Paul Ibe, a spokesman for the main opposition candidate, said in a telephone interview. Buhari's government held talks with the militants in 2016 and 2017 about their grievances over poverty and oil pollution in the Delta.